Over the last month a fire boat volunteer group has been getting together every Monday evening to do basic fire and water training. 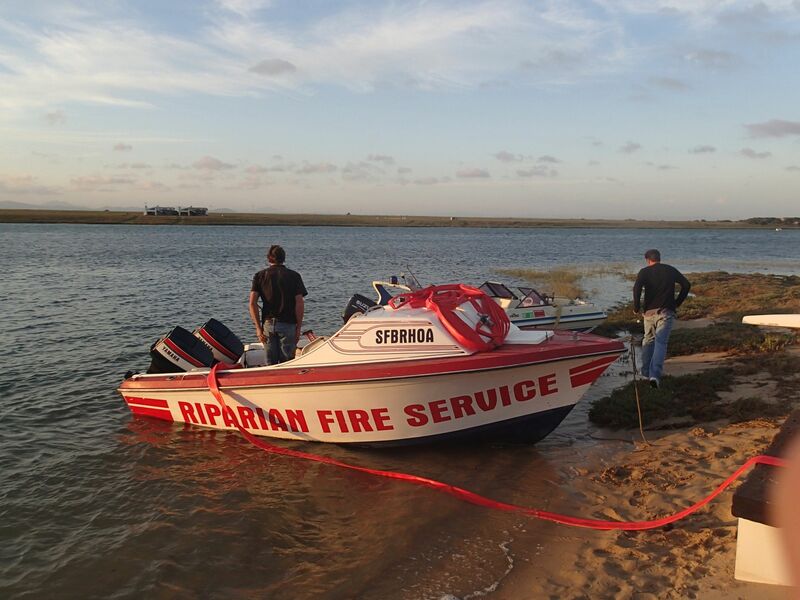 The group, known as the St Francis Bay Riparian Association Fire Service, has run three mock fire scenarios with the local fire department, running exercises within the canals as well as at a home accessible only by the river. 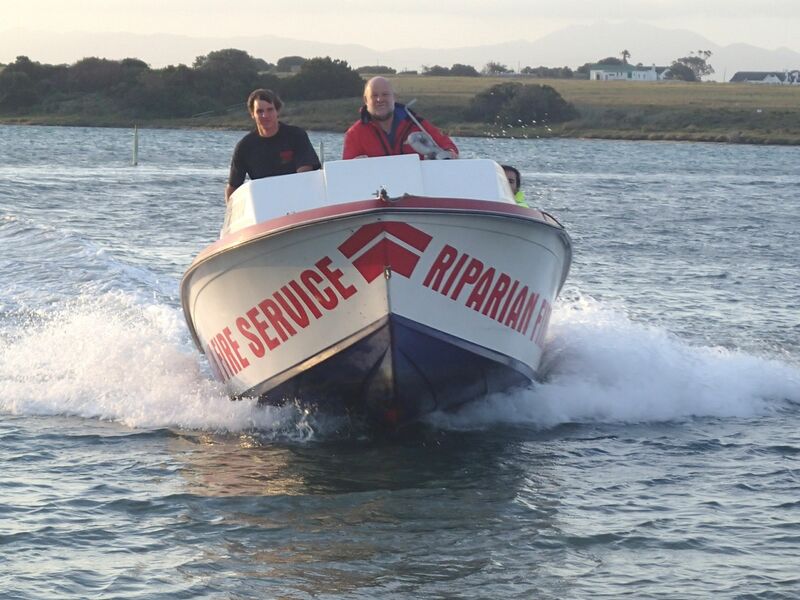 There are around eight men who are capable of operating the boats, pumps and fire fighting equipment. Fantastic news! My ancestor was Obertus Martinaglia de Riparia of Rivara, Piedmont, Italy in 1306. Riparian is derived from the Latin and Italian, still used to-day in Italy and the USA, which covers anything with regard to structures, nature conservation, fishery,on the banks of a natural river, including forestry, plants, flowers and various trees. Also all wild life. I feel very proud of being associated with this service through ancestry.